Most of the stylised image of SH portray him with a big curly calabash, though there is no mention of such a pipe in any of the stories. The actor William Gillette found that a bent briar was easier to handle on stage than a straight-stemmed pipe, as depicted in Sidney's Paget's illustration for The Strand Magazine. # 2 Deerstalker hat and a cape never appear in Doyle’s writing. 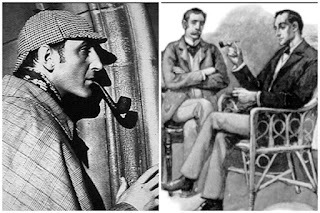 The appearance of Sherlock Holmes comes partially from the author’s descriptions, but iconically it comes from the artist Sidney Paget. When Sherlock Holmes as a series first appeared in the Strand Magazine, Paget is credited for details associated with Sherlock Holmes that never appear in Doyle’s writing, such as the deerstalker cap and a cape. 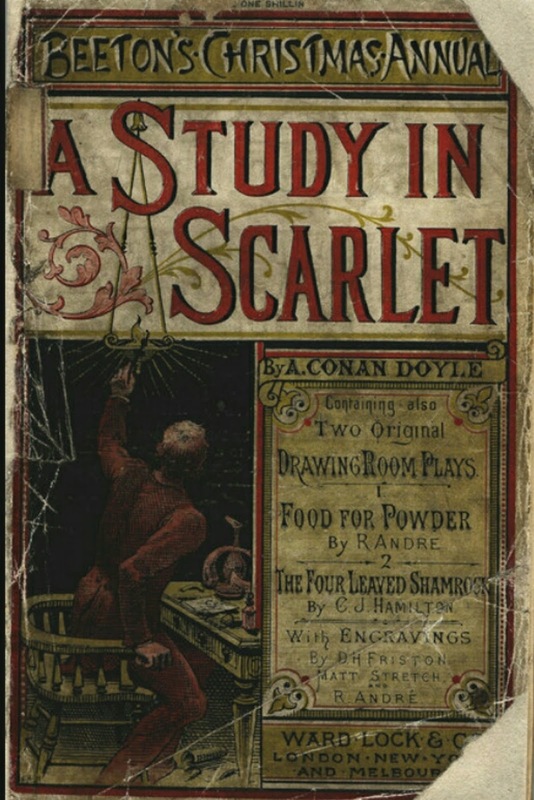 The Strand grew in popularity and became a best-seller in the 1890s, and with it, Paget’s illustrations of Holmes became more elaborate. 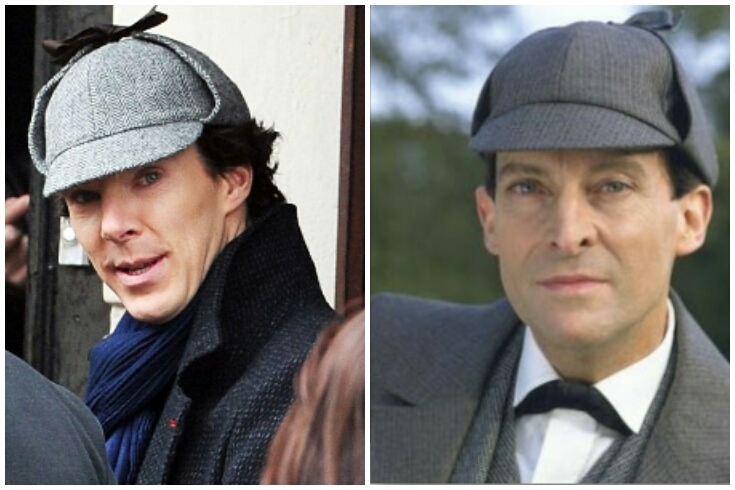 # 3 Sherlock Holmes didn’t wear a deerstalker hat, much. 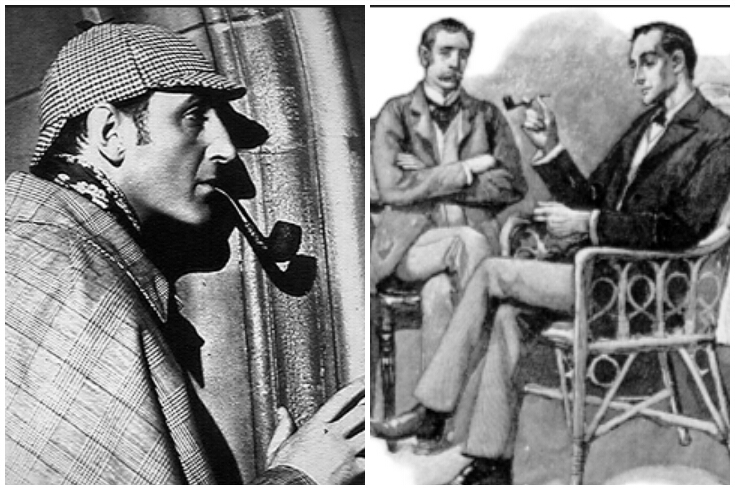 It is when the stories began to appear that Sherlock Holmes became a worldwide sensation. Sidney Paget, who drew the illustrations, had Holmes wearing a deerstalker when the detective went into the country to investigate mysteries at country houses and in small rural villages, but most people think of the detective as always donning the hat when off to investigate a case. # 4 Sherlock Holmes was originally going to be called Sherrinford. The name was altered to Sherlock, possibly because of a cricketer who bore the name. Sir Arthur Conan Doyle, creator of Holmes, was a fan of cricket and the name ‘Sherlock’ appears to have stuck in his memory. Doyle was also a keen cricketer himself, and between 1899 and 1907 he played ten first-class matches for the Marylebone Cricket Club — quite fitting, since Baker Street is situated in the Marylebone district of London. # 5 The first Sherlock Holmes novel was something of a flop. 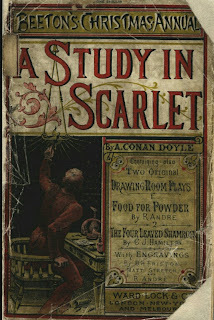 The detective made his debut in the novel A Study in Scarlet (1887), written by a 27-year-old Doyle in just three weeks. Famously, Doyle was inspired by a real-life lecturer of his at the University of Edinburgh, Dr. Joseph Bell, who could diagnose patients simply by looking at them when they walked into his surgery. The other important influence was Edgar Allan Poe’s fictional detective, C. Auguste Dupin. Doyle wrote the book while he was running a struggling doctor’s surgery down in Portsmouth. The novel was rejected by many publishers and eventually published in Beeton’s Christmas Annual. It didn’t sell well, and more or less sank without trace. # 6 When was Sherlock Holmes Birthday? 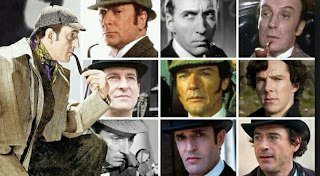 # 7 Sherlock Holmes is the most-filmed fictional character. 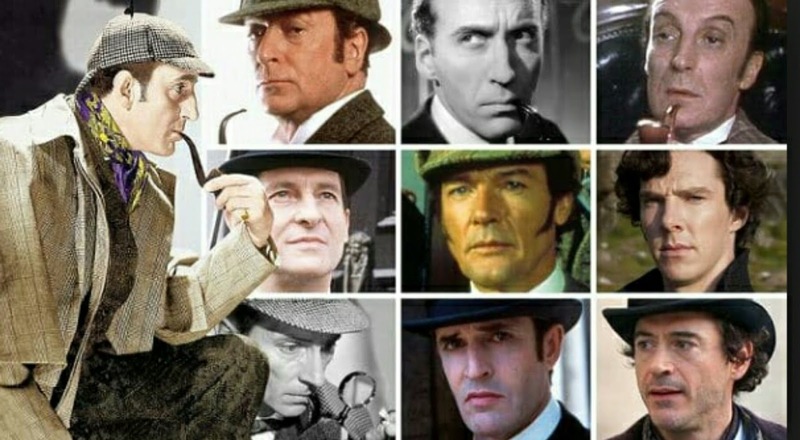 According to IMDb, Holmes has appeared in 226 films and been played by dozens of different actors since the advent of cinema in the late 19th century. # 8 Sherlock Holmes doesn’t make deductions. Instead, and if we want to be technically accurate, he normally uses a logical process known as abduction. The difference between deductive and abductive reasoning is that the latter is based more on inference from observation, where the conclusion drawn may not always necessarily be true. 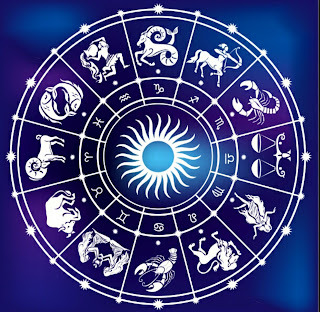 However, in deduction, the conclusion drawn from the available data is always necessarily true. But then again, since Holmes’s reasoning always seems to be correct, perhaps it is deduction after all! Not in the canon of original Conan Doyle novels and stories. Holmes says ‘Elementary!’ and ‘my dear Watson’ at various points, but the idea of putting them together was a later meme, which possibly arose because it neatly conveys Holmes’ effortless superiority to his ‘dear’ friend and foil. The first recorded use of this exact phrase is actually in a P. G. Wodehouse novel of 1915, Psmith, Journalist. # 10 The Sherlock Holmes Museum both is and isn’t at 221B Baker Street. Although the museum in London bears the official address ‘221B’ in line with the celebrated address from the stories, the museum’s building lies between 237 and 241 Baker Street, making it physically — if not officially — at number 239. The 370 sq ft one- bedroom flat above Speedy's Cafe, which in fact about a mile away from Baker Street but doubles as Sherlock's home for exterior shots. 0 Response to "10 Things You Might Didn't Know About Sherlock Holmes"